Base Oil: Highly refined mineral oil. Solids: Bleand of Graphite & MOS2. 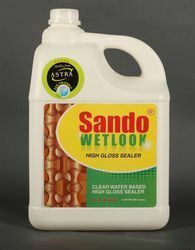 Our firm is among the trusted names, engaged in providing Industrial Sealant. Our patrons can avail this product in diverse packing options at nominal costs. A sealant is a viscous material that changes state to become solid, once applied, and is used to prevent the penetration of air, gas, noise, dust, fire, smoke or liquid from one location through a barrier into another. Curing Schedule: 75 Degree C x 30 mins. Shelf Life: Six months under above conditions. Temperature Resistance: 204 Degree C.
It ensures stronger bonding of sealant with masonry, aluminum or other substrates and helps to maintain desired thickness of sealant at the joint's centre. It does not bond with cold applied sealants. It is used as a back-up to sealants in expansion joints and structural glazing systems. 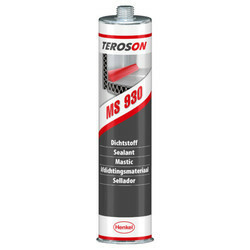 We have marked a distinct and dynamic position in the market by providing a high-quality array of Polysulphide Sealant.